The southeasternmost district of Austria‘s ‘capital city of white wine’ – Krems – lies on the southern banks of the Danube River. The Forstreiter estate is situated here, in the idyllic winegrowing community of Hollenburg, family-owned since 1868 and thus proud to look back on a long tradition. They live and work in a place that is extraordinarily rich in viticultural history, with official records dating back to the year 400 AD. 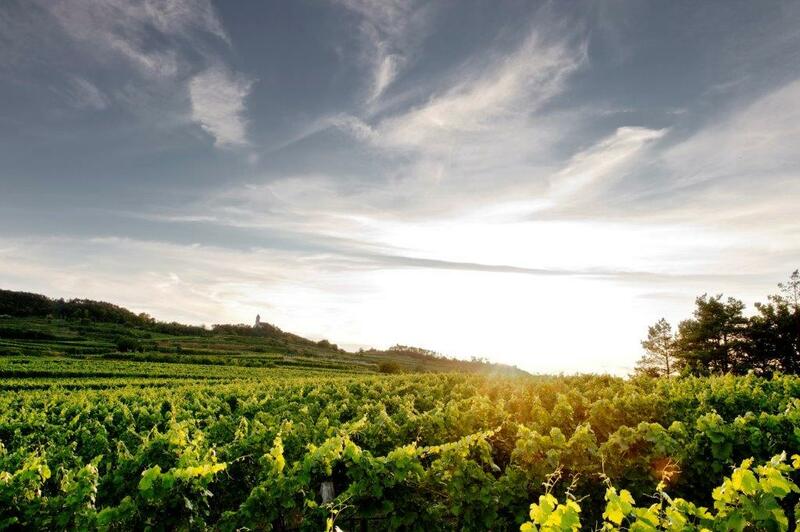 Much like the neighbouring vineyards of the Wachau Valley and the nearby Kamptal, the Kremstal also benefits from the dynamic tension in climate systems, between the cool and moist influences from the nearby Waldviertel and the warm, dry winds rising from the Pannonian lowlands to the east. These contrasts in temperature inspire the vines to breathe, causing the grapes to accumulate more substance (and therefore more complexity and finesse than they might do elsewhere), yielding wines that are captivating for their minerality, spiciness and depth of fruit – all adding up to unmistakable and distinctive flavour profiles.